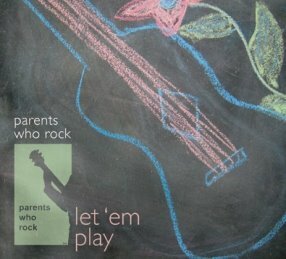 Zoë Lou was thrilled to design the logo for "Parents Who Rock!" Zoë Lou's playful designs for babies and kids are handmade by native New York City gal, Zoë Louise Schneider. A lover of historic New York, Zoë Lou incorporates bygone NYC into many of her garments, adding fascinating lore to the tags to create pieces of wearable history. Zoë Lou's items can be found at the Whitney Museum of American Art's gift shop and online store , as well as her own online store: zoelou.com . She has been featured in Time Out New York Kids and AM New York. Zoë Lou's goodies are printed and stitched on comfy, superior quality American made cotton garments, and packaged in a beautiful and reusable organza bag. She also uses vintage and recycled fabrics in many designs. She believes strongly in supporting the local economy and making her carbon footprint really tiny. Zoë is (and has been) a travel writer and New York City historian, Alaskan archaeologist, television writer, and Central Park ranger. She lives in NYC with her husband (jazz bassist Danton Boller) and two children. Zoë Lou is dedicated to NYC and education. 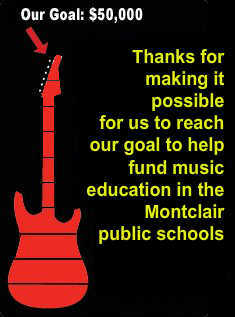 A portion of the proceeds from Zoë Lou's sales go towards arts education programs in NYC public schools.